When you’re shopping for replacement windows, you’ll probably hear a lot of different industry terms. Some you’ll understand and others may leave you scratching your head. If your goal is to replace your old windows with a more energy efficient model, the term argon gas will keep popping up. It is found in almost all energy efficient replacement windows. When deciding if argon gas filled windows are right for your home, you are bound to have some questions. Argon is a non-toxic, clear, odorless gas. This chemical element makes up 0.93% of the earth’s atmosphere, making it the third most abundant gas. 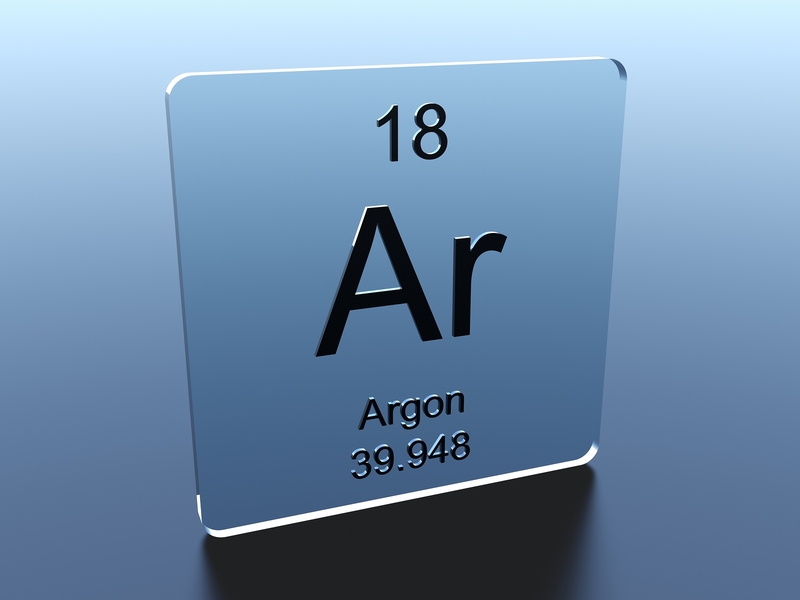 Argon is obtained from the air as a byproduct of the production of oxygen and nitrogen. Argon gas is typically used in double and triple pane replacement windows. Because it is denser than air, filling the space in between the panes improves thermal insulation and energy efficiency. Argon gas is often used in conjunction with low-E glass. It keeps the temperature of the window closer to the temperature inside your home, keeping it comfortable year-round. Krypton gas is also used to fill windows. Some window manufacturers blend the gases together. Krypton is somewhat denser than argon gas, providing somewhat more thermal efficiency. It is typically only used in top of the line windows as it is a bit more expensive. Argon gas is inert and occurs naturally in the Earth’s atmosphere. It is sealed inside the window so you will likely never even come in contact with it. Most major manufacturers certify their window against leaks. If the window should be damaged and some of the gas should leak out, it is non-toxic and not hazardous. In most cases, a minor leak won’t affect the window’s performance. According to the National Glass Association even if only 80% of the gas remains, the window will still maintain its effectiveness. Should a window lose all of its gas, you will typically see a fog on the inside of the window pane. Gas-filled windows provide your home with better insulation from the outside elements. As previously mentioned, it is common to find argon gas and low-e glass paired up in replacement windows. Combined, they ensure the temperature in your home remains stable, avoiding increased energy cost as well as excessive wear and tear on your heating and cooling systems. The low-e glass also provides the added benefit of protecting your home from UV rays while still allowing plenty of natural light to enter your home. This will prevent fading or sun damage to your home furnishing. Having energy efficient replacement windows installed in your home is a big investment. It can help reduce your energy cost and significantly increase the value of your home. Toms River Door and Window can guide you in choosing the perfect replacement windows and professionally install them in your home. We have been providing high-quality door and replacement window installation in New Jersey for decades. We have extensive experience working with all types of replacement windows and doors and our craftsmanship and commitment to customer service can’t be beat. Toms River Door and Window carries ProVia replacement windows. The ProVia ComforTech collection includes double and triple pane argon filled, low-e windows and patio doors. 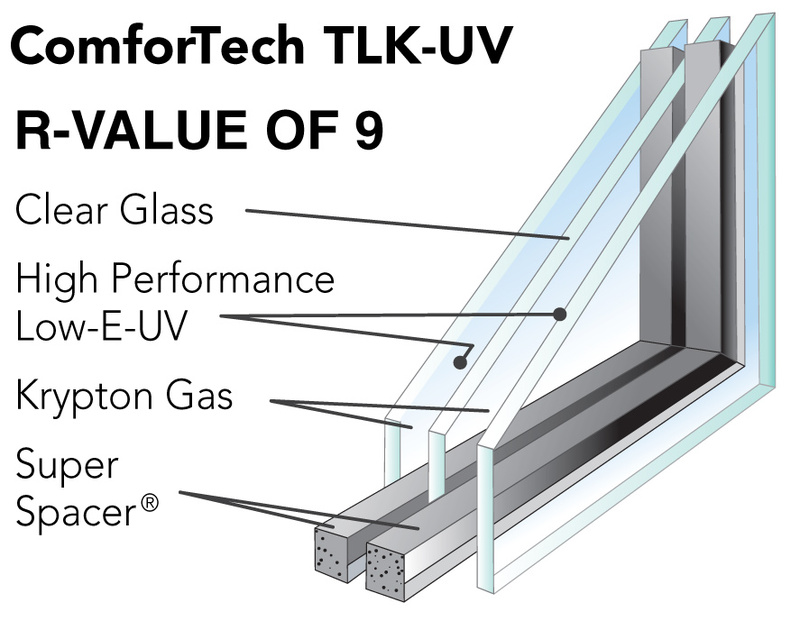 It also includes their ComforTech TLK-UV option which combines krypton gas with low-e glass and has a superior R-value of 9. We also carry Sunrise windows which now offer many low-e options. Call us today for a free estimate!